It's been a little longer than usual since our last update. We've been busy! We achieved some fantastic milestones last week! Here's another look into what we've been up to recently. It's been a busy week for the Cacophony Project, with good progress on many fronts. As noted earlier, the project now has a new lead developer & project manager (me!) and I've spent much of the week getting up to speed. I've been reviewing the current state of our hardware and software efforts, meeting various advisors and contributors, and getting a grasp of our immediate and longer term goals. It's been fantastic to meet everyone and I'm really excited to be onboard. There's a real energy around the project. My name is Menno Finlay-Smits and I start today as the Lead Developer and Project Manager for the Cacophony Project. We've got a real chance at solving the problem of invasive predators in New Zealand and I'm really excited to be part of the effort. Spark have been a fantastic supporter of The Cacophony project. Spark are providing free data upload for the project so all sound and video files use the excellent Spark network. The NEXT Foundation and ZIP have recently invested in the Cacophony Project and this will enable us accelerate our development plans. As part of the NEXT investment they also put together a short video that very nicely explains what we are up to. They did a great job with this and it has proved very helpful in explaining concisely what we do. Below are a few observations from our experiments with live capture traps. As noted in our previous blog post, they seem to work better than other traps we have tried. We know they are not the long-term solution, but we need some devices that are more guaranteed to take out predators while we trial different audio lures. We don't want predators to learn and ignore audio lures that we test. Below is a video showing a few interesting things about the live capture. We explain these in more detail below. We are very happy to announce that the Next Foundation and Zero Invasive Predators have made a significant contribution that will enable us to accelerate the development of tools for recognising, luring and eliminating predators. I once heard that when you think an IT project is 99% done, you are probably half way there. A lot of work has been done on the Cacophonometer over the last few months and it is now ready for you to try it out. The Cacophonometer is an app that runs on Android phones that makes regular sound recordings. It can be used to gather ‘base-line’ and ongoing data of the bird song near the device. One of the problems for the Cacophony Project to resolve is stopping the device from recording human voices (to avoid any issues with privacy). I've been performing some backyard experiments with some promising results! We are hiring so would love to hear from you if you would like to join the team to help make New Zealand predator free. Job description below. The short video below was presented at TEDx is a summary of the Cacophony Project. Feel free to share with anyone you think may be interested and sign up to our newsletter to hear about the latest developments (see bottom of page for email sign up). My name is Tim Hunt and I am a lecturer in Information Technology at Waikato Institute of Technology (Wintec) in Hamilton, New Zealand. I first heard about The Cacophony Project, and the work that Grant Ryan and others are doing, at this year's ITx conference in Wellington. 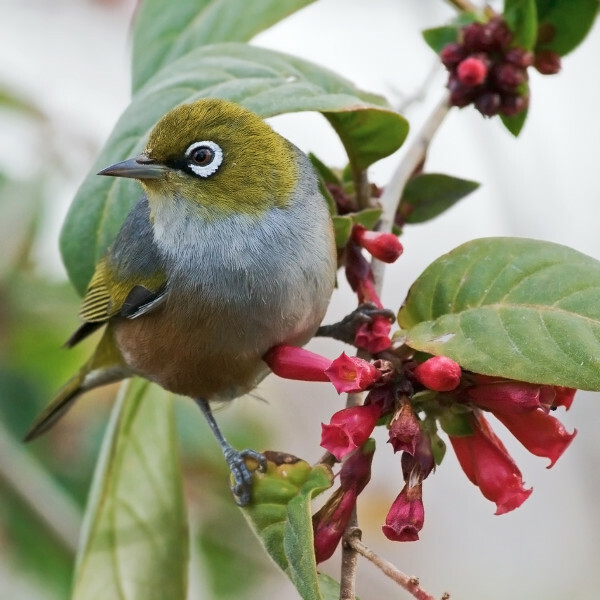 Grant's presentation outlined the 'big picture' aims of the project - to return New Zealand's bird life to its former glory, by using technology to help eradicate the pests responsible for killing so many birds. A team is looking to set up a company to sell and distribute devices and services that use the research The Cacophony Project has been working on. The device records background bird song every hour for a few minutes and then uploads the data to the cloud. This way a reliable time series can be collected and there will be increasingly sophisticated ways that these will be able to be analysed to give you real objective data on the trends of bird life in your area. The Cacophony Project was fortunate to win the science category of New Zealand Open source awards this year. “Genetic engineering”. The very mention of it is enough to provoke a furious waving of hands followed by a litany of rhetoric that wouldn’t be out of place in the Old Testament. The Cacophony Project is not a science project in the same way it is not a business project (link). However there are lots of ways the tools created by our project will be able to be used by scientists. Below are a few examples that we think are particularly interesting.